Wow! Great to be featured on the Channel 9 Today Show, and thanks to our good friends at Aveo Newstead for helping make this happen. It was great to watch how Aveo Newstead residents Meredith and Ian found eevi so simple and easy to use. Rather than finding the technology foreign and overwhelming, with it embedded in the things they use every day, it gave them peace of mind without the angst that can be associated with high tech gadgets. This positive user experience is the result of asking our target market what they wanted. From hundreds of hours of interviews with older Australian in a first of it’s kind design sprint in 2017, we were able to understand and address their anxieties and frustrations when it comes to using technology. 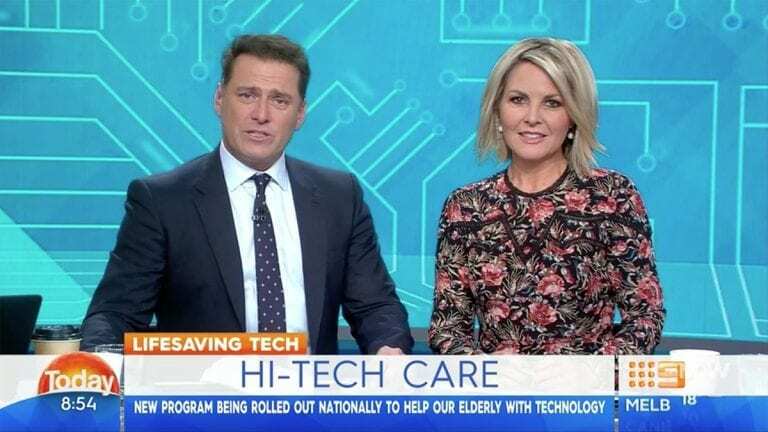 With eevi already offered at Aveo Newstead and plans for Aveo to rollout our solutions across villages around the country, we are confident eevi will be a point of difference for retirement communities looking to provide tech solutions for residents.